The girls in my last workshop became privy to the details of a date happening that evening. They wanted to hear progress updates via my blog, so ladies, here it is - with a little added sweetener. Date & I met several months prior at the Melbourne Writers' Club, held each month at Honey Bar. We'd initially tried catching up a few times for coffee but never quite got it together. So I was surprised to hear from him out of the blue a number of months later. I did question the lapse and rather sporadic contact but succumbed to a bit of 'meh' and decided to go with the flow. Being an avid fan of the 'flow' philosophy this was pretty much what I applied to subsequent dates post date number one (which was excellent; convo, tapas & Veuve = win). Turns out though that this laid back approach may have resulted in someone getting their own way a few too many times, ending in rather a bad outcome when they didn't. So that's the way it went, and went it did. What the process gave me was true meaning to what a friend and fellow singleton said to me recently, of her own dating experiences; it's all practice. And this, in all it's simplicity, made sense. 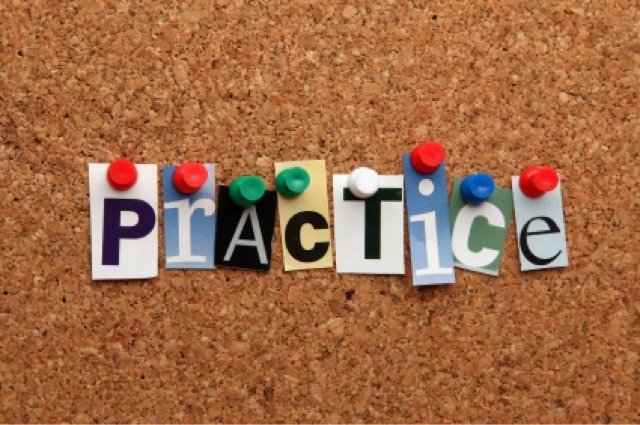 Could it be that we're all practicing for something, sometimes without even realising it? Maybe all the things we go through in life - the good, the bad, the ugly - are all just preparing us for a bigger purpose. For my friend, it means dating until she finds the champion life partner she's looking for. For me and my recent experiences, I've realised I'm getting more practice in learning who I am, what I want in my life and what I don't. In a recent quest of trying to be the best of me, this has all come at perfect timing. So girls, there it is - you got your goss and I got my philosophical gander.